It is widely accepted that when artificial intelligence exceeds the sum total intelligence of the human race, we will have reached a technological singularity. It qualifies as a technological singularity because it represents the first time a machine is more intelligence that all humanity. In my book, The Artificial Intelligence Revolution, I project this will occur during the 2040s. My projection aligns with the prediction of most researchers in the field. We will reach a second technological singularity with the development of self-replicating nanobots. This begs a question, What are self-replicating nanobots? Self-replicating nanobots are robots built using nanotechnology that are able to perform programmed functions and reproduce. This raises another question, What is nanotechnology? According to the United States National Nanotechnology Initiative’s website, nano.gov, “Nanotechnology is science, engineering, and technology conducted at the nanoscale, which is about 1 to 100 nanometers.” For comparison, a human hair diameter is 100,000 nm. The development of self-replicating nanobots qualifies as a technological singularity because it represents the development of the first artificial life forms, having rudimentary intelligence to carry out programmed functions, along with the ability to reproduce. You can think of them as the technological equivalent of bacteria and viruses. Researchers working in the fields of nanotechnology have varied opinions when this will occur. I think the divergence in projecting this singularity comes from looking at it as an isolated occurrence. Many researchers in nanotechnology lack equivalent expertise in artificial intelligence. 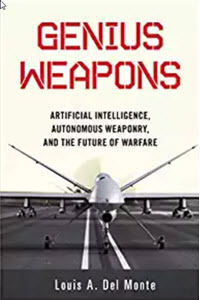 Having worked in both fields, and authored books in both fields (The Artificial Intelligence Revolution and Nanoweapons: A Growing Threat To Humanity), I assert from experience the second singularity (i.e., the development of self-replicating nanobots) is dependent on the first singularity (i.e., an intelligent machine that exceeds the cognitive intelligence of humanity). Let us discuss why this is the case. In technologically advanced countries, computers play a role in the design of almost all products, from fighter jets to golf balls. The fabric of society in technologically advanced countries is dependent on computers. When an aeronautical engineer designs an aircraft or a civil engineer designs a bridge, computers are intimately involved. It is fair to assert that without computers, our society would not be viable. Nanotechnology is also becoming an integral part of technologically advanced societies, from nanotechnology-based cosmetics to nano drugs that hold the promise to cure cancer. Nanotechnology is becoming critical to building the structures of society, making steel and concrete stronger, lighter, and even self-cleaning. The worldwide market for commercial nanotechnology products is a trillion dollars. Even though most people may not be aware of it, they are likely using nanotechnology-based products daily. Intelligent machines and nanotechnology have a strong symbiotic relationship. Integrated circuits, with nanotechnology features, power modern computers. Modern computers play a critical role in developing integrated circuits. Computer processing power is doubling approximately every eighteen months. This trend, first observed by Intel co-founder Gordon More, is termed Moore’s Law. It has held for over five decades. By contrast, nanotechnology is relatively new, emerging as a science in the late 1980s. Its importance, however, quickly became evident. In 2000, President Clinton established the National Nanotechnology Initiative, a research and development initiative involving the nanotechnology-related activities of 25 Federal agencies. Since its inception, the United States government has allocated over $20,000,000,000 to developing nanotechnology. This brings us to a critical question, When will self-replicating nanobots be developed? Given the strong symbiotic relationship between computer power and nanotechnology, we may see both technologies progressing faster than their historical trends. My rationale is that an advance in one technology fosters advances in the other. I judge this synergy may accelerate the advancement of both technologies. 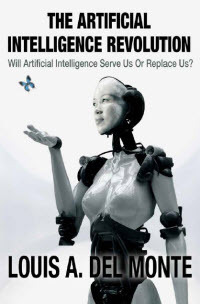 Further, when intelligent machines exceed the cognitive intelligence of humanity (i.e., the first technological singularity), humanity will have the computing power required to develop self-replicating nanobots (i.e., the second technological singularity). If my judgement is correct, humanity will develop self-replicating nanobots during the 2050s. With the advent of self-replicating nanobots, we will have the potential to use them medically to treat diseases like cancer at the cellular level. In fact, we are already doing that with medical nanobots today. On May 15, 2015, Pfizer announced it is “partnering” with Dr. Ido Bachelet, manager of Bar-Ilan University’s robot laboratory, on DNA nanobots. Next Big Future reports, “Bachelet has developed a method of producing innovative DNA molecules with characteristics that can be used to ‘program’ them to reach specific locations in the body and carry out pre-programmed operations there in response to stimulation from the body.” In this case, the pre-programming involves detecting cancer cells and delivering an existing cancer drug treatment directly to a cancerous cell, bypassing healthy cells. This is currently going into human trials as I write. Although these are not self-replicating nanobots, it provide a solid conceptual framework to understand how self-replicating nanobot my revolutionize medicine. Unfortunately, there is also a dark side. Self-replicating nanobots can become a weapon. For example, one adversary could program self-replicating nanobots to target another adversary’s populace. It would be the technological equivalent of biological warfare. In the 2008 film, The Day the Earth Stood Still, the alien robot “GORT” disintegrates into a swarm of self-replicating nanobots shaped like bugs that cover Earth and destroy all humans and artificial structures by seemingly devouring them within seconds. 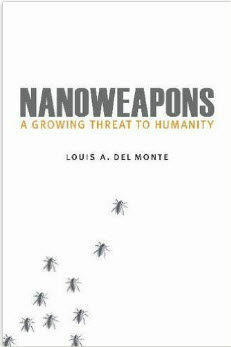 Although this is science fiction, it points out a significant issue with self-replicating nanobots, namely the potential to lose control over them. If that were to happen, it could write the last line in human history.